The Strawberry-Banana Margarita is just what it sounds like – a traditional blended margarita with the addition of actual strawberries and banana. Sure, you could add flavored liqueurs to get those flavors, but the end result when you use real fruit is a smoothie texture, and that’s part of the charm with this one. This is a great drink to cool off with on a warm day. Because this drink actually contains some real fruit, it does offer some antioxidants, vitamin C and potassium. While it’s far from being a health smoothie, you can get a little more sustenance out of this drink than most, which can help keep you going if you’re dancing the night away. It also makes a great afternoon snack, because you’re getting a whole banana in this drink. It’s filling as well as delicious. You also get a cup of frozen strawberries in the mix. 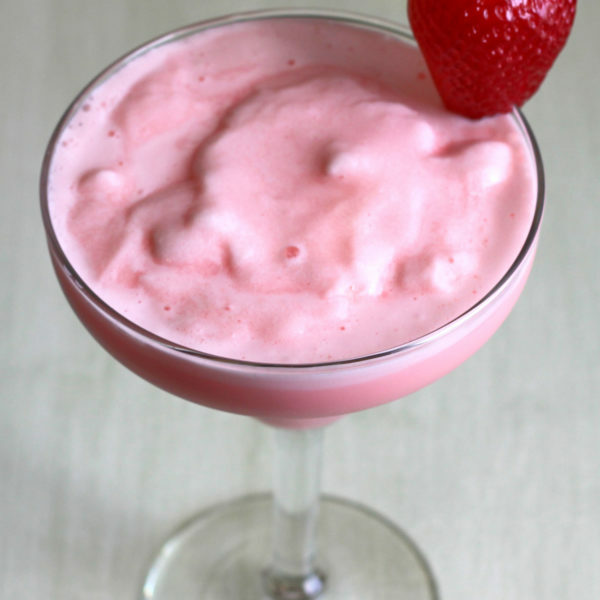 The tartness of lime makes a wonderful contrast with the sweetness of both strawberry and banana. Fresh squeezed limes are ideal in this drink – you don’t want to use a sweetened lime juice. This is a tough drink not to like, because it’s more than just strawberry and banana – it’s also lime and orange, and everything melds into one yummy taste. If you like the texture of this one, try the Fruit Fly, which blends whiskey with canned fruit cocktail. 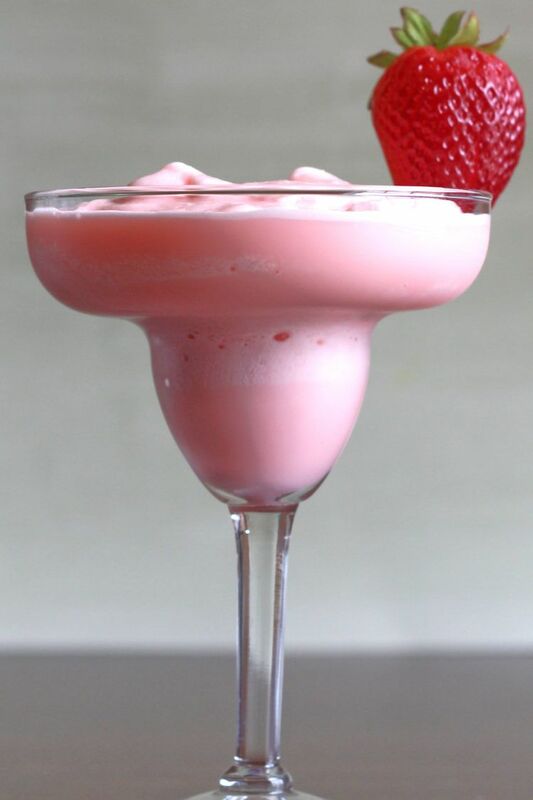 If you like the flavors, check out the Strawberry Sombrero. Freeze the strawberry and banana slices for a couple of hours. Put everything in the blender and blend in short spurts – you want it smooth but still thick. Pour into frosted margarita glasses and serve.